Good news! This is the fourth Steve Jobs post this week, and we have some good news to offer. You can honor Steve Jobs in a fun way without the hassle of other people accusing you of honoring him the same way they did, no just joking. The latest news came in fresh from the music industry. It stated that the second O Music Awards will be held in honor of Steve Jobs. The show is ging to be held on October 31, on Los Angeles, where there will be a musical tribute to Jobs. This will be performed by different musical artists – only the freshest and the best, in gratitude for the change that Steve has brought to the music industry, especially to its digital realm. Aside from the special tribute to Steve Jobs, there are other things to look out for as well. Together with Guinness, the O Music Awards would also attempt to break the record of the longest dancing party ever held in history, with a 55-hour past record to break. To ensure that everybody would stay put to finish it, and that the party would not be cut in half, there would be an overflowing supply of stars to keep you company while you party. What else are we missing in the O Music Awards? Well, aside from giving honor to your favorite inventor who just recently passed away, partying all night, and the day after, and the night after that together with your favorite music artists and celebrities, you can also help other people as well in the process! How? Well, that’s because the money that is going to be raised once the record is achieved will go out to different charitable institutions that seek to end bullying and other issues to the young members of the LGBT community. 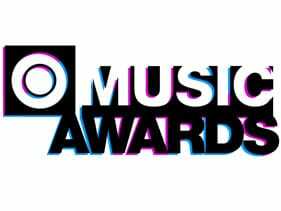 What is the O Music Awards anyway? Well, it is the award giving body that gives out awards to music artists who made the digital music industry an even more awesome place to enjoy music on. Some of the nominated are Justin Bieber, Katy Perry, Demi Lovato, Lady Gaga, among many others. So if you haven’t gone out for quite some time, this is the perfect party to attend to. If, unfortunately you cannot attend, there are going to be live streams via internet as well, thus there really is no other reason missing out on this big event. Just a short recap on the other Steve Jobs post this week so far, the first one is all about Steve Jobs’ death. This post talked about how he died and the rare cancer that took his life away. The second post concerned three artists who gave honor to him in similar ways, and thus creating a huge noise all over the online world where the issues of copying and ripping off are concerned. The post before this one is an inspirational post about his life, his struggles, and how he overcame it. Tomorrow will be the last of the week-long posts about Steve Jobs so you better watch out for that. See you then!